After the author of Chess Insider WGM Videnova won the national championship of Bulgaria, today another Chessdom.com commentator conquered a gold medal. GM Vidit is the winner of the 52nd Challengers Championship of India. The championship was held from 9th to 19th May, 2014 in Dharmasala – a city in the Indian State of Himachal Pradesh. 227 players took part in the event, including 14 GMs, 22 IMs, 1 WGM and 3 FMs. First place was shared in an 11-way tie by GM Vidit Santosh Gujrathi, GM Grover Sahaj, IM Shyam Nikil P., GM Sengupta Deep, GM Sethuraman S.P., IM Swayams Mishra, IM Rajesh V A V, GM Lalith Babu M.R., GM Deepan Chakkravarthy J., GM Kunte Abhijit and IM Girinath P.D.S. 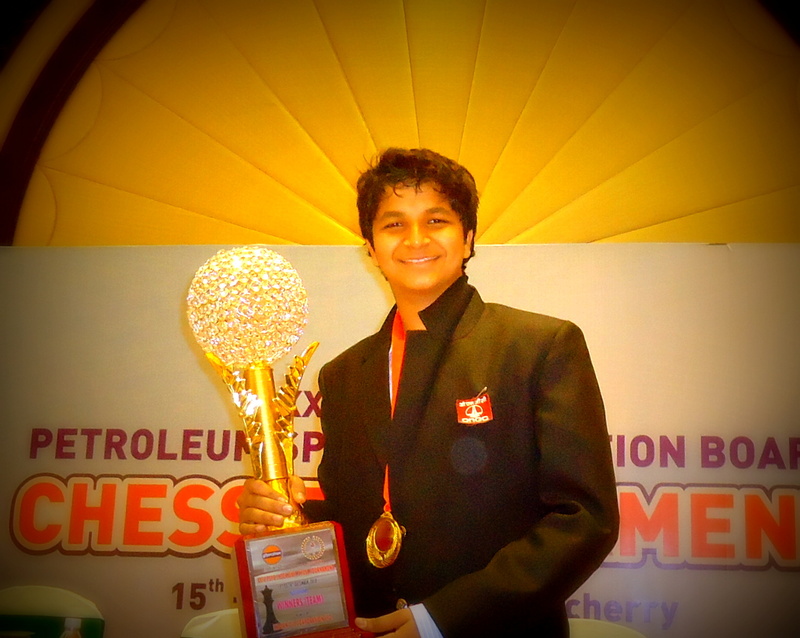 with 9.5/13 points each, but GM Vidit emerged a winner on superior tie-break score.